Wireless Internet access offers a range of advantages. Employees working with their laptops, tablets or smartphones can use the WLAN for full access to the company network—whether they are at the neighbouring colleague’s desk, in a conference room, or even in another building. Online. Anywhere, anytime. Preferably at no charge and with a minimum of effort. The Public Spot solutions from LANCOM fulfill this wish for your guests and, at the same time, they securely separate the guest network from your company’s network. 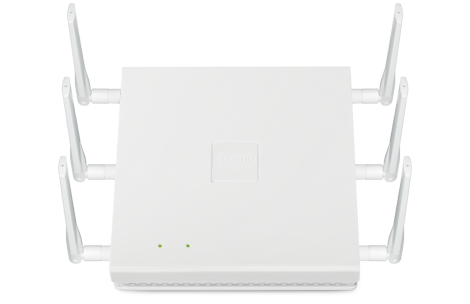 What’s more, LANCOM solutions adapt perfectly to the size of your network—and your budget. An open interface makes it easy to integrate external systems without problem. Be it in retail or in the manufacturing trade: For companies to stay competitive, they have to be able to optimise their lead times and the flow of materials and goods. The professional solutions from LANCOM pave the way for a significant increase in efficiency.